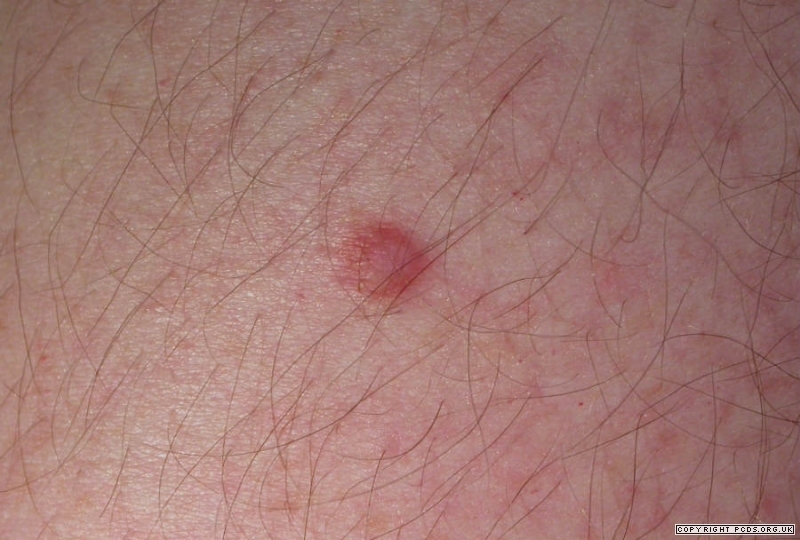 Dermatofibroma is a harmless hard nodule that is often found on the legs. Is more common in women than men. 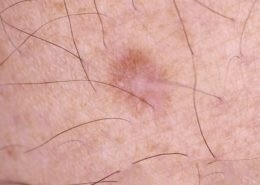 Most commonly occurs on the leg. However, DF can occur in many different parts of the body. The story goes that DF is a longstanding reaction to an insect bite. 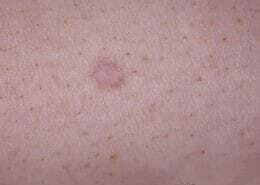 The cause of Dermatofibroma is in face unknown. The pathology is that of a benign growth consisting of fibrous tissue which is similar tissue to that that found after an inflammatory reaction. 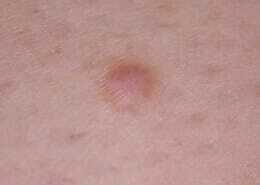 Dermatofibroma is usually solitary. 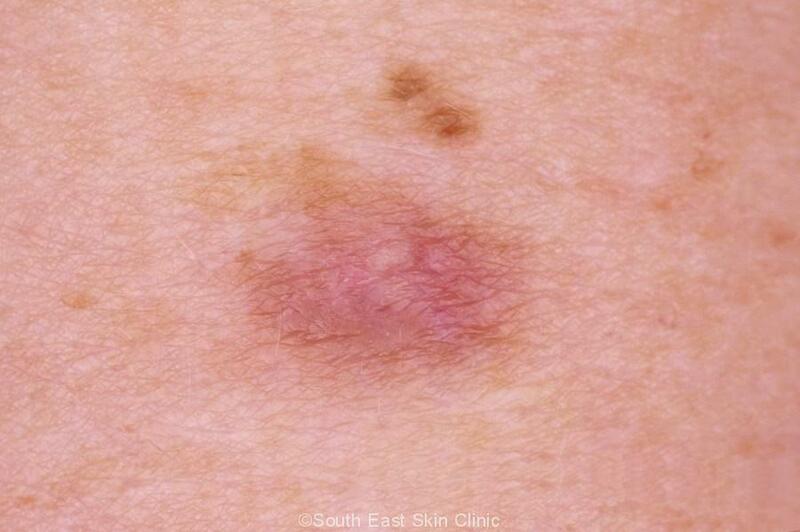 More than 15 dermatofibromas is described as ‘eruptive dermatofibroma’ and occurs in under 1% of cases. 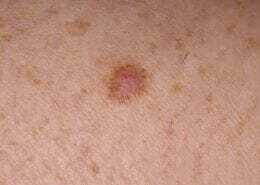 Causes of eruptive DF include immune-mediated diseases. 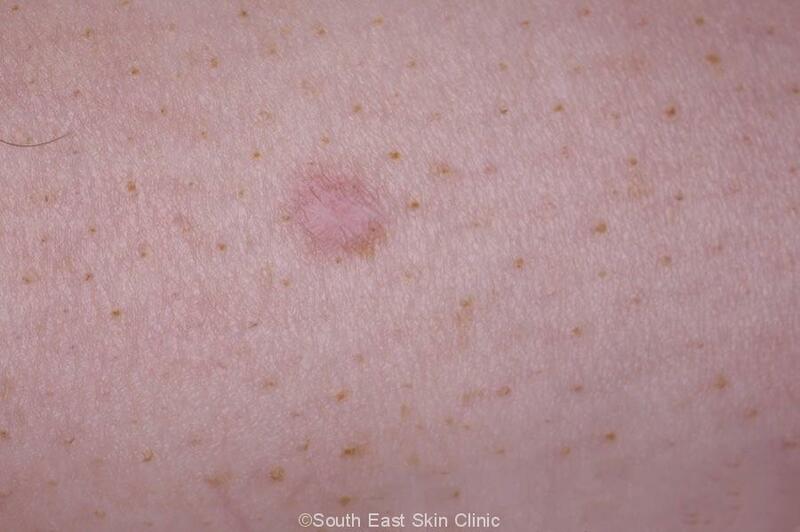 What does a Dermatofibroma look like? 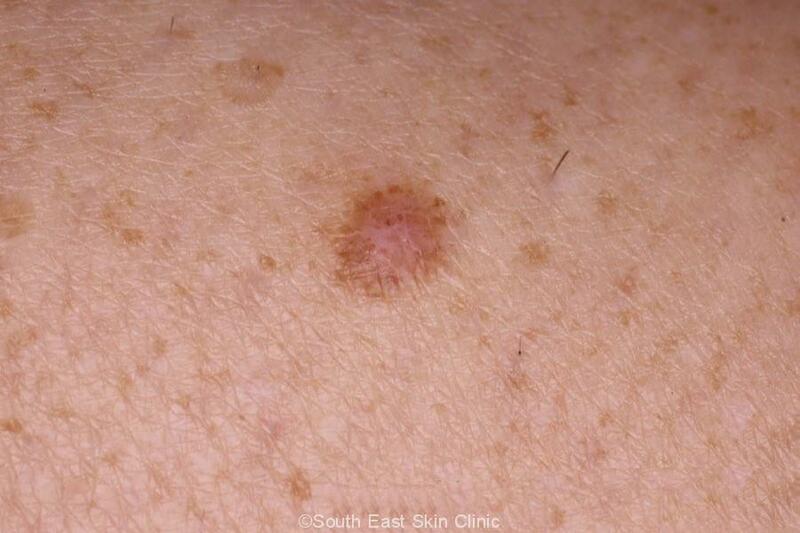 The lesion projects upwards from the skin surface in the shape of a dome. 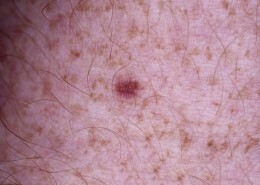 The colours of dermatofibroma vary. 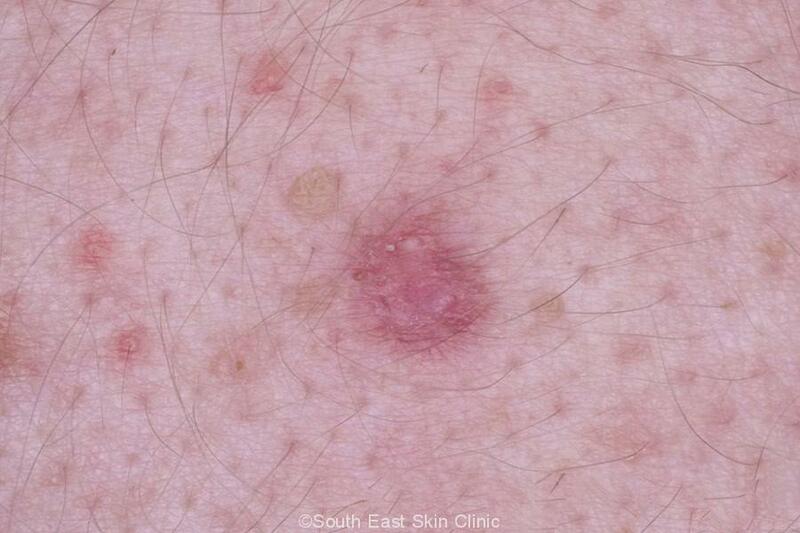 The classical DF has a pink or flesh-coloured centre with a pale brown periphery. Other colours are orange, yellow, red, or sometimes even purple, blue, or black. The size ranges from 3 to 10mm. 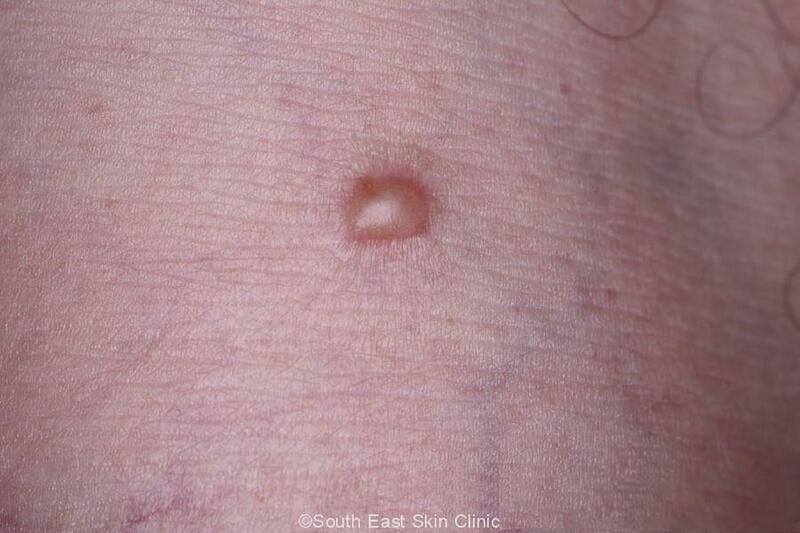 When squeezed between the finger and thumb, the hard nodule sinks below the skin (the “dimple sign”). Don’t pinch too deep! 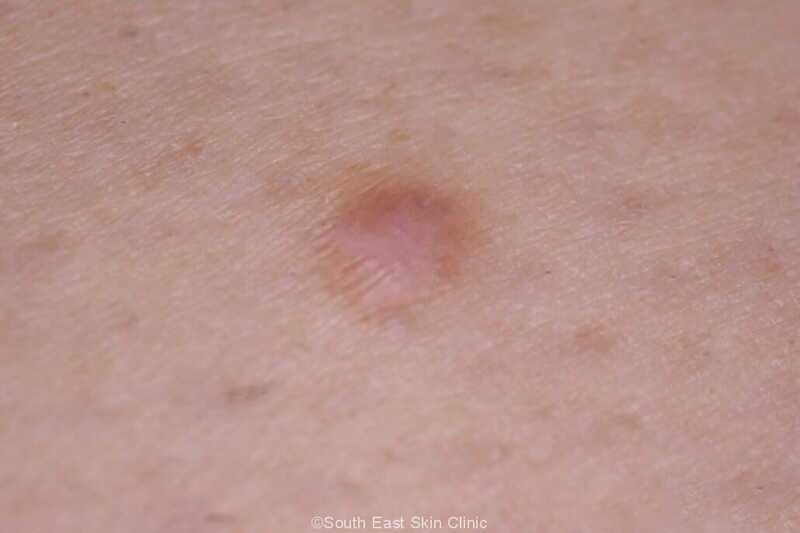 Just pinch the surface of the skin skin to feel a very firm lesion. 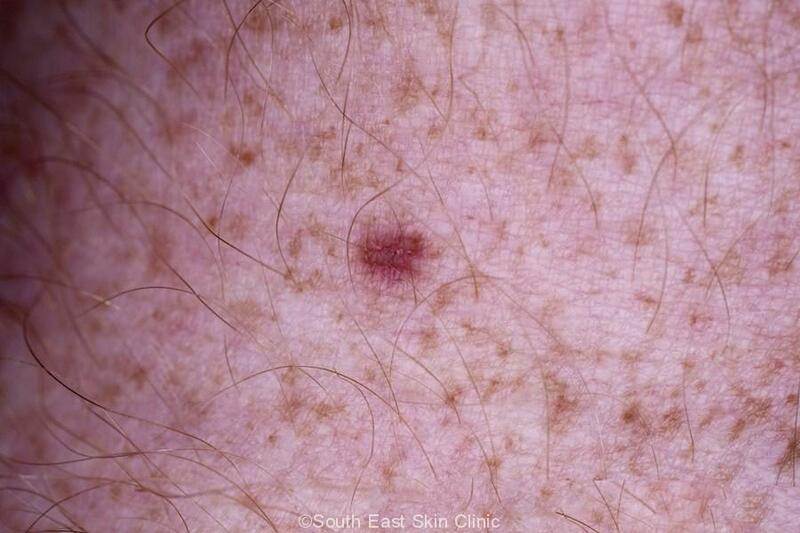 Which Skin cancers may look like a Dermatofibroma? 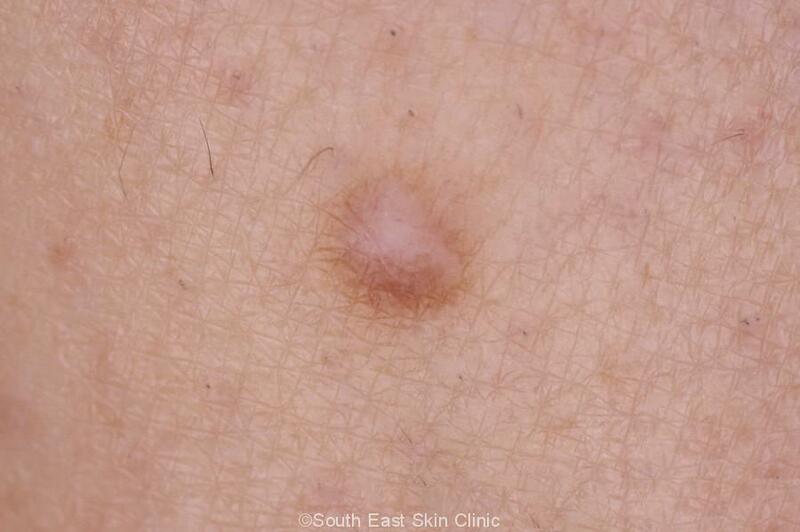 What does a dermatofibroma look like under a dermatoscope? 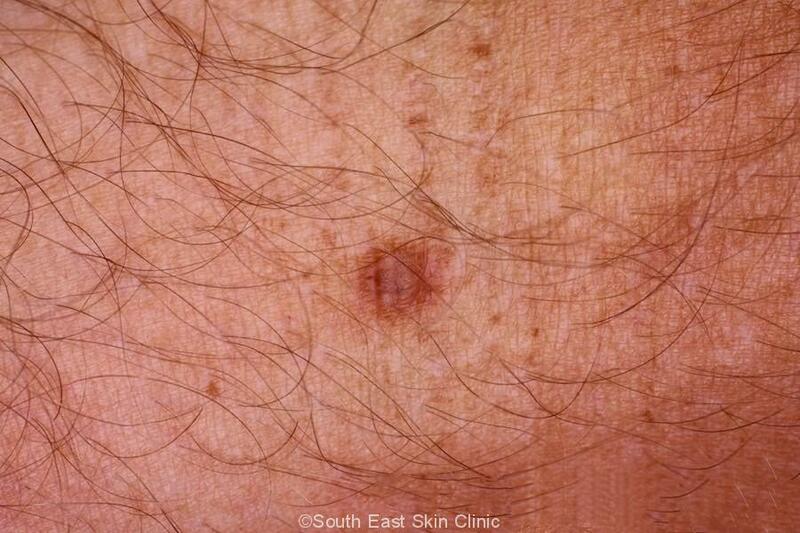 The most common pattern shows a central white area that is surrounded by a brown fine lace-like network or occasionally circles. The central white area may be solid white or may consist of thick white lines. Other dermatofibromas have smaller white or pale patches that are not central, and other rare patterns may also be found. 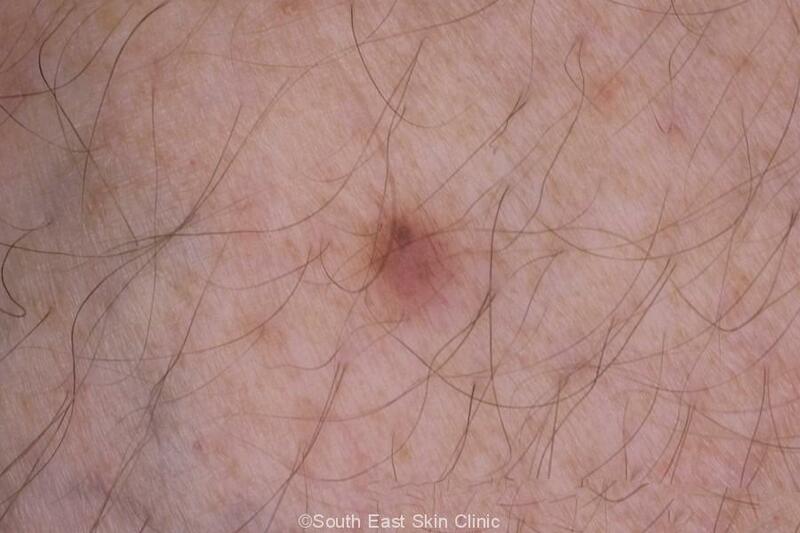 What is the treatment of a dermatofibroma? 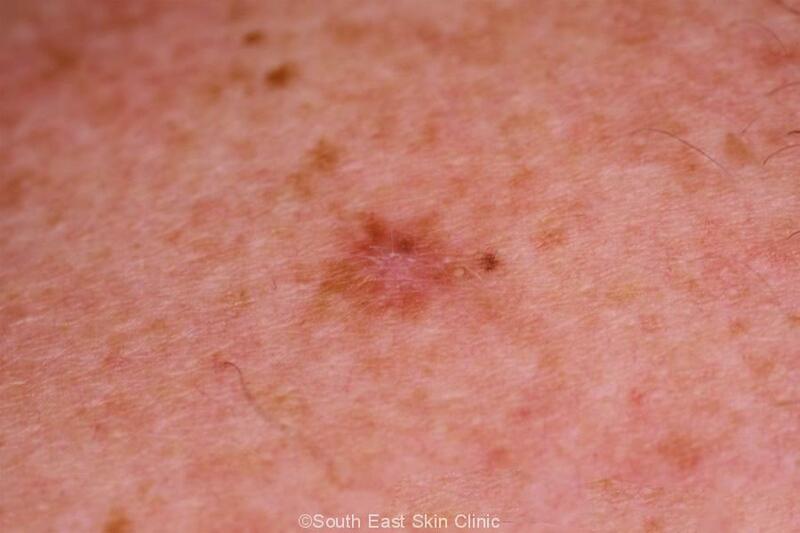 No treatment is required unless the diagnosis is unclear or removal is requested for cosmetic purposes. 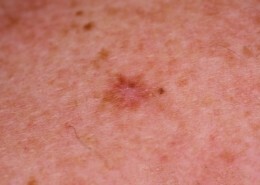 The lesion may be removed although there is a chance of recurrence after surgery. 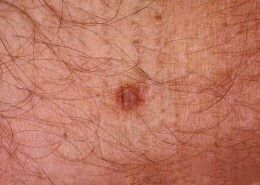 Dermatofibroma (DF) is one of the most common of the ‘good’ lesions.